DASH is a comprehensive school wide study of a topic that is carried out in every classroom, Judaic and secular, as well as in the arts. It is cross grade, cross curricular and integrated. The school has now done two DASH units, one last spring and one in November 2017. This fall's topic, "Water: Source of Life" was engaging and exciting. 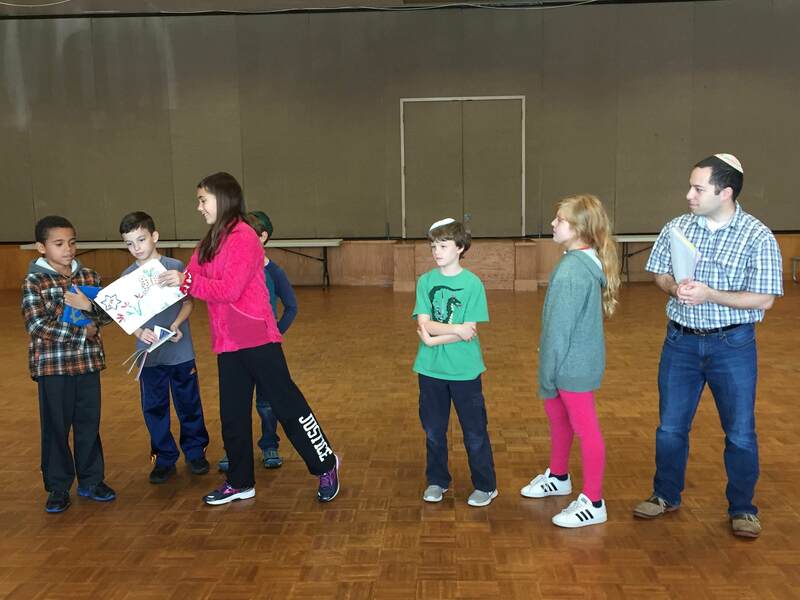 What does an innovative elementary school do to create excitement at the end of a trimester? 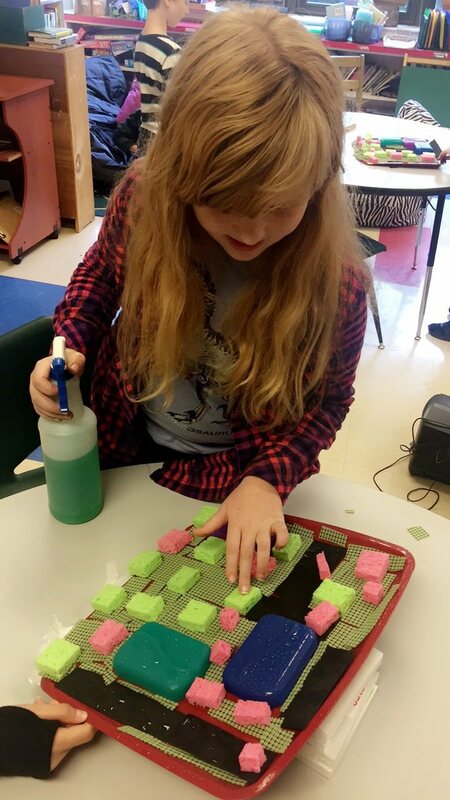 Levey creates DASH weeks, a thematic cross-curricular, cross-grade learning experience for two weeks (and sometimes more) of exciting learning. 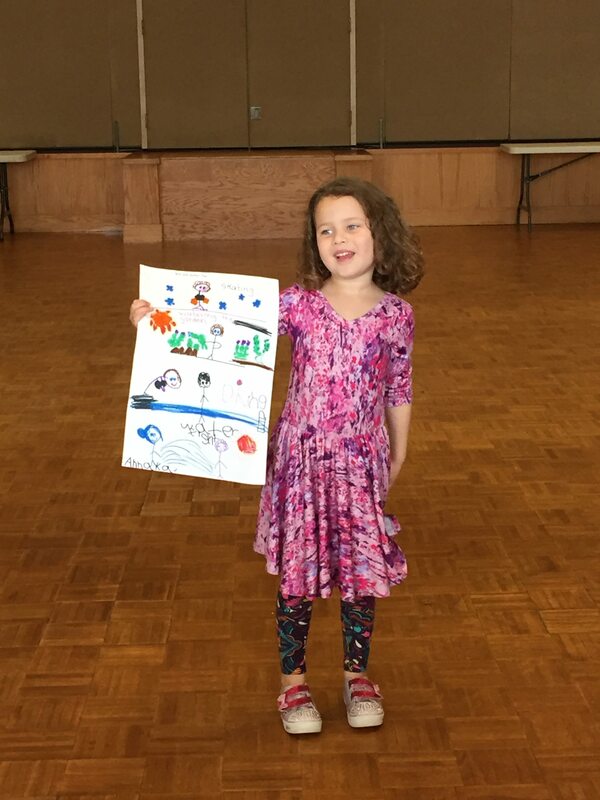 DASH stands for Days of Arts, Science, Hebrew and Humanities, and also is, as one of our students put it,”a space between other things.” Last year’s first (for Levey Day School) DASH on “The Human Body” was so successful we planned several for the 17-18 year. 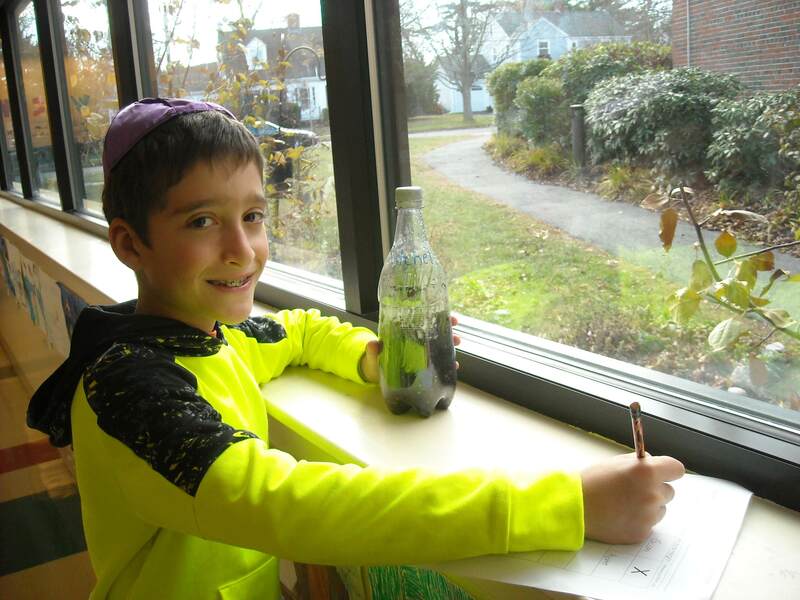 Levey students, ages 5-11, pursued a theme of WATER:Source of Life from October 30th through November 10th. And classes extended projects and studies that were initiated during this time. The week began with each class brainstorming questions, which were then posted around the school for everyone to see and think about; i.e. How much water is inside you? Are all bodies of water connected? How do we get water to people on earth who don’t have it? Can we grow things in water? Where is water in the Torah? A large lending library in the lobby full of water themed books was available to all. The week was balanced between individual and developmentally appropriate classroom activities and whole school activities, and at several junctures we gathered to share learning and to have fun. All of our teachers collaborated continuously, and worked with the Head of School and parents. 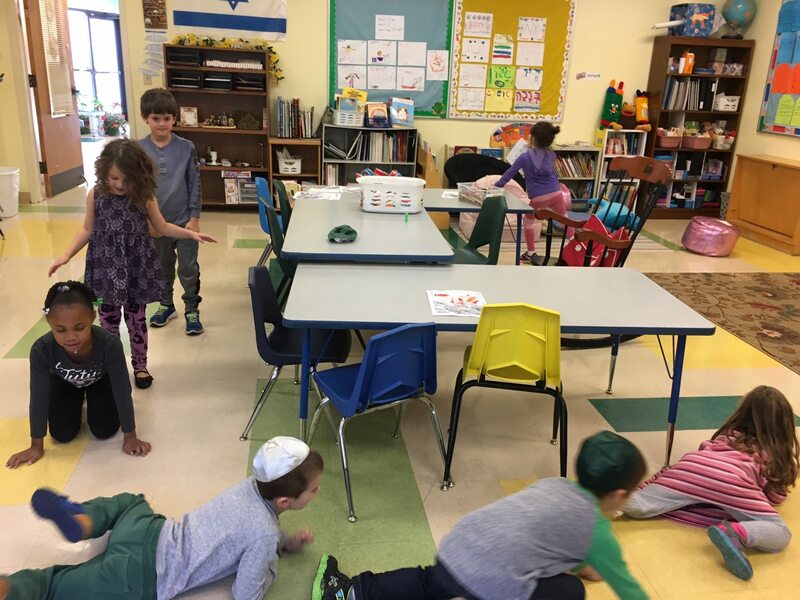 On the first day, we joined together, led by an Israeli parent in the afternoon to sing and dance to MAYIM, extending the learning to include the special history of that dance. Do you know it preceded the state of Israel? 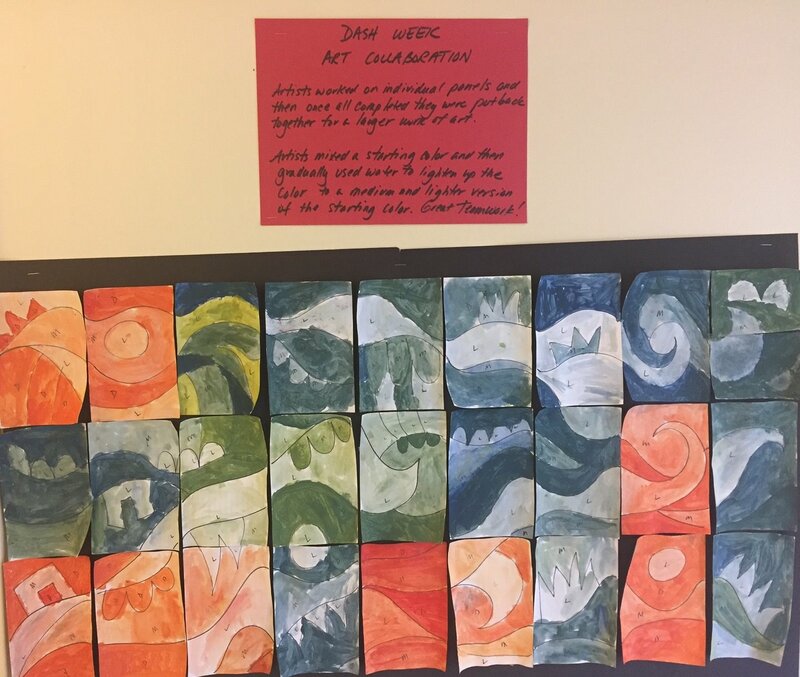 In classrooms students painted with watercolors to reveal a collaborative painting. 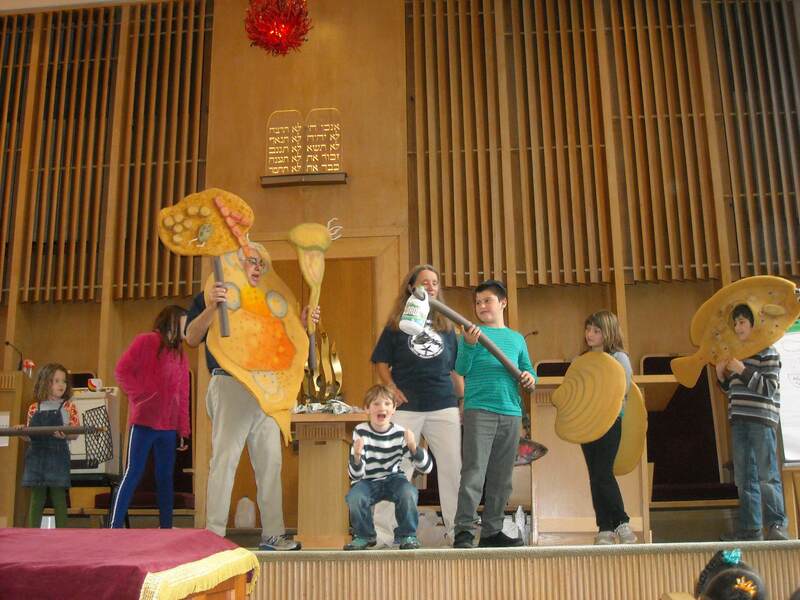 Students young and old explored and reenacted stories in the Torah about water- Noah, Jonah, and more. In Hebrew they also learned water words and related thinking. 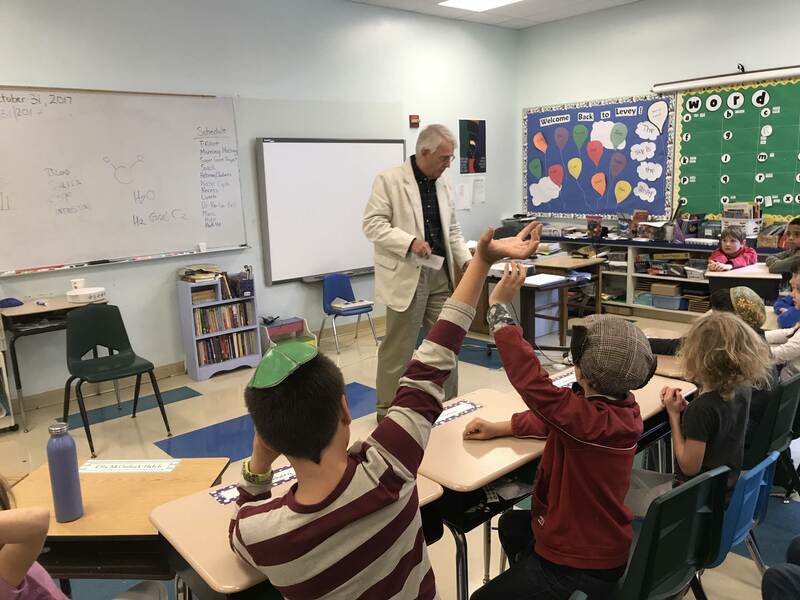 One of our first guests was former Levey grandparent and board member Dr. Reuben Bell, who combined the biology and chemistry of water woven in with water being created in the book of Genesis. All along we stopped and talked about what we had learned so far to answer our initial questions. In the classrooms, each grade level learned about the water cycle and water in age appropriate ways. 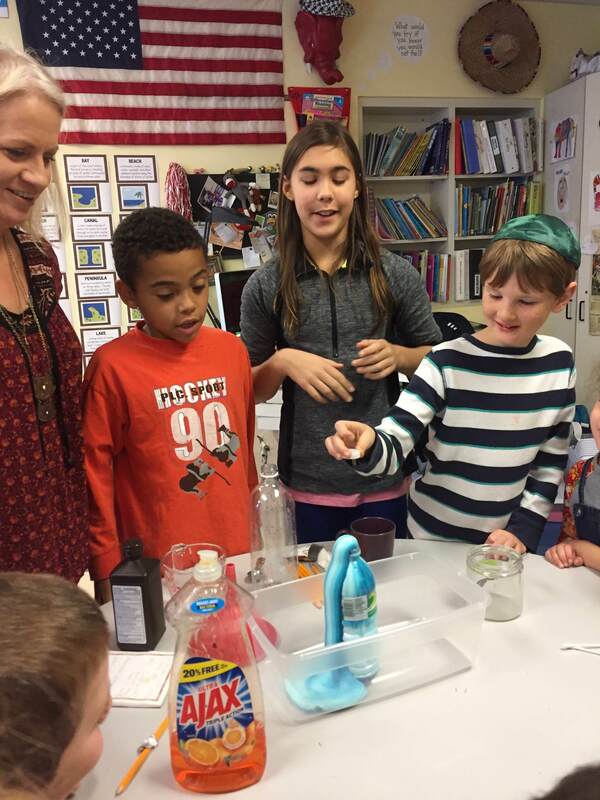 Experiments about states of matter, making terrariums were featured in 2/3 grade. They also explored bodies of water, and tied it into their study of Maine. 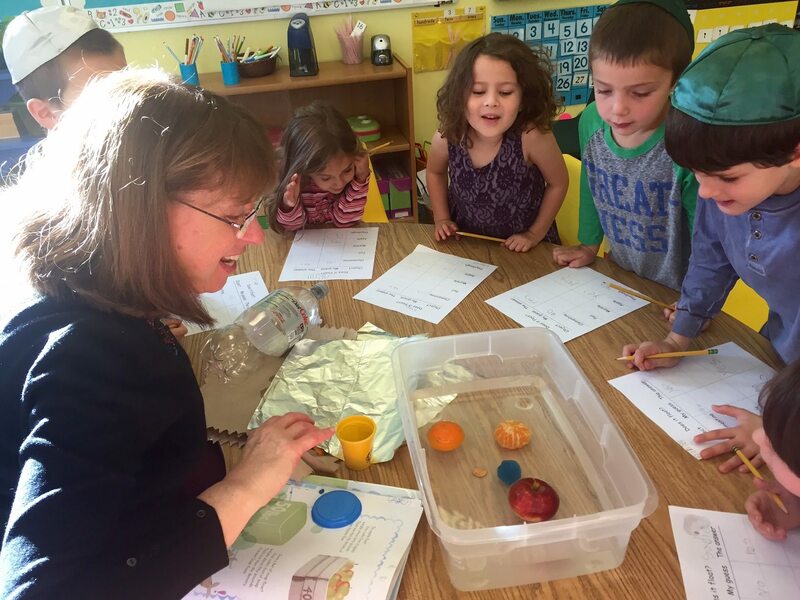 Kindergarten and first grader made hypotheses about sink and float and did water cycle experiments. They performed skits about Noah and the ark. 4th and fifth graders enjoyed kits provided by the Portland Water District, doing studies and hands on activities including such things as Where is Water in the World, Building Vegetative buffers and later, a teacher from the Water District visited with a lesson on water pollution and how to curb it. They also performed lots of “just for fun” water explorations. 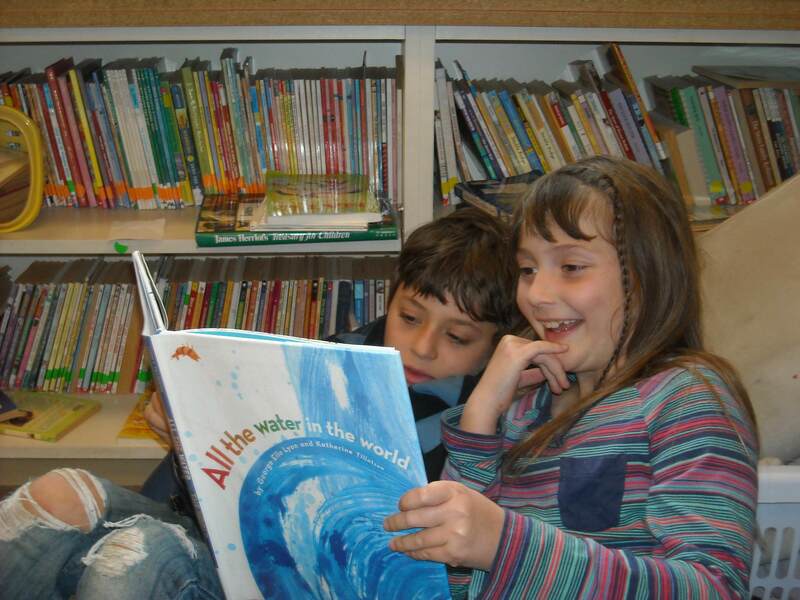 In our weekly buddy reading, older students read books to kindergartens with water themes. We got together one afternoon and each group performed a song about the water cycle. 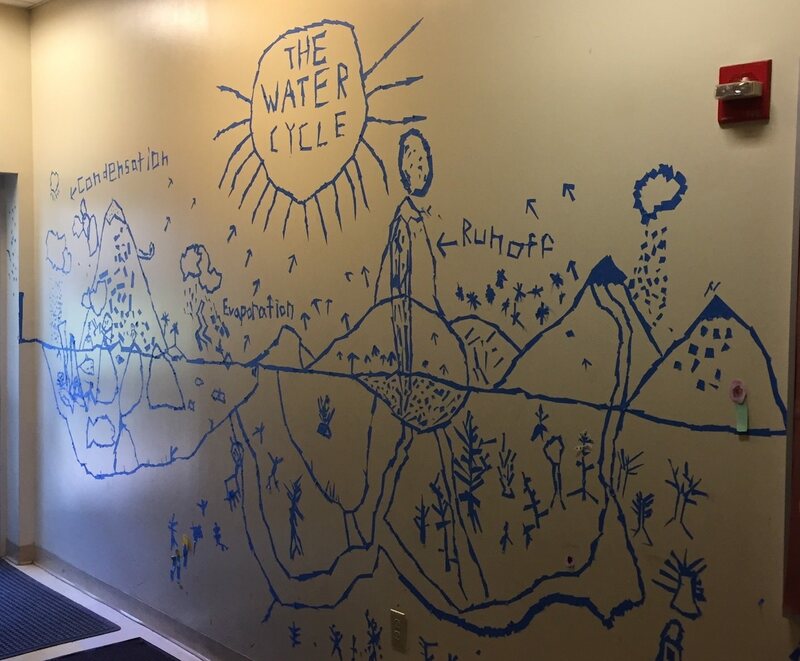 The entire school helped make a “tape mural” about the water cycle. Another afternoon a Jewish performing group, Mr,. and Mrs. Fish, did a whole school interactive performance about waste water and how to conserve water, and what happens after we flush the toilet?! Jewish values of taking care of the earth and of ti k k u n O l a m were frequently invoked when talking about saving water, keeping it clean, and getting water to those who need it. 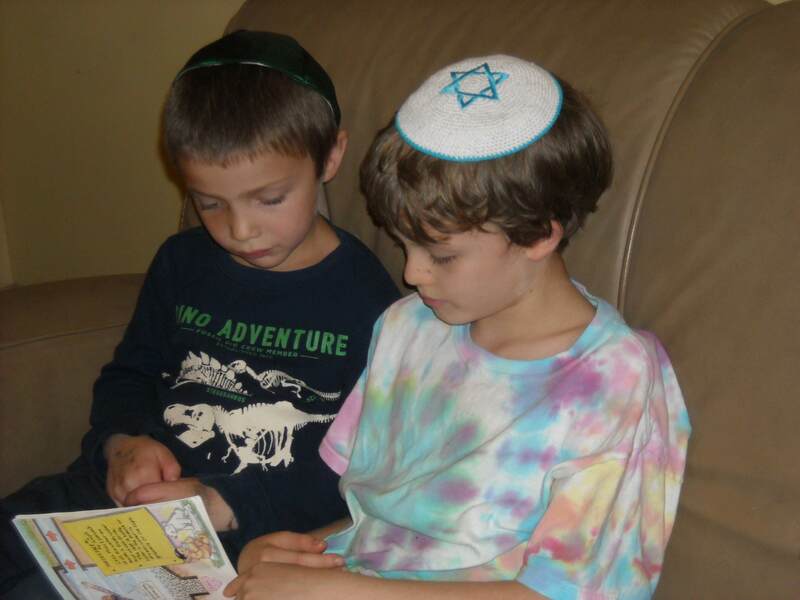 True to the mission of our school, we extend learning to include being engaged and caring about klal yisrael and the entire world. Our music teacher taught everything from Row Row Row your boat rounds to cymatics for the older students (study of music and water effecting one another) For fun and to build community, we held a “sing down” with the whole school in teams, competing the sing the most songs, Hebrew or English, that contain water words. The teachers as well as students loved this activity and healthy competition reigned! At the end of the unit the whole school got together and shared their learning, by group and individual presentations. Students as young as Kindergarten stood in front of the school as individuals talked about their learning enthusiastically. 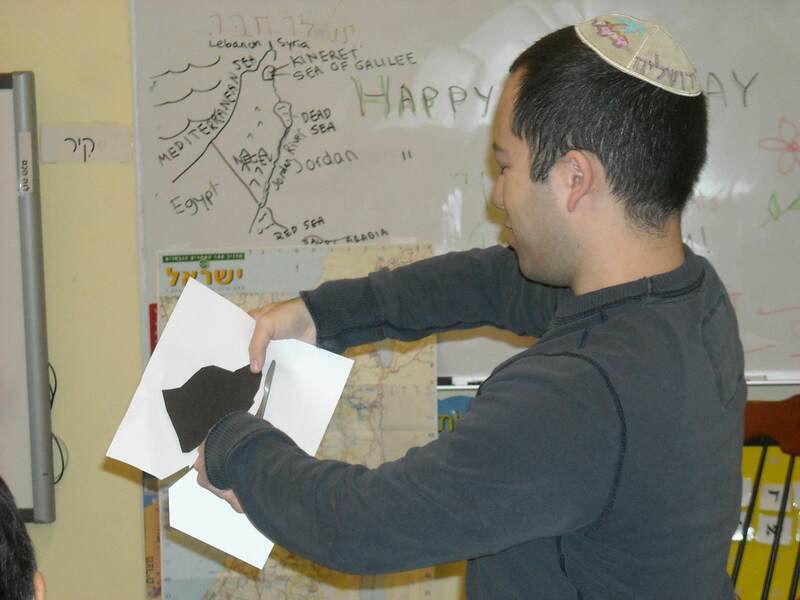 We listened to students talk about the Mi Cha mocha and speak in Hebrew and English. Even now, several weeks later, students are avidly checking the growth of plants in their terrarium and measuring it. (math tie-in.) 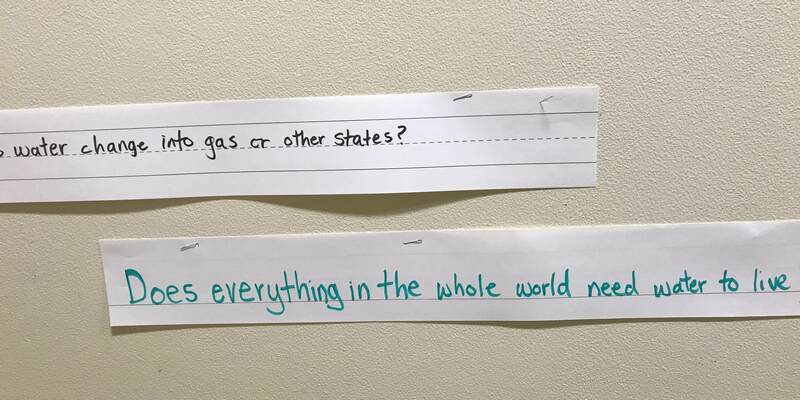 Children skip through the halls singing Mayim to themselves or one of the water cycle songs. The spirit of DASH remains, and we are eagerly anticipating future ones. Our faculty ranges from a 21 year veteran (Debbie Kanter) to a second year teacher, Sarah Greenberg. Our combination of experience, enthusiasm and innovation makes a great collegial combination. 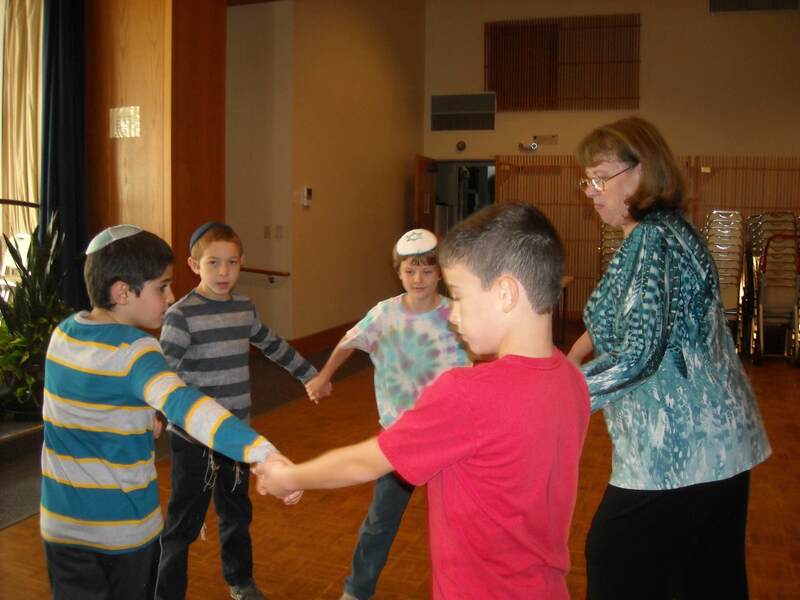 We weave Judaics, Hebrew and general studies together to create an integrated learning environment. Gerri Chizeck, as Head (and part time teacher) leads the group and had the idea for DASH weeks.